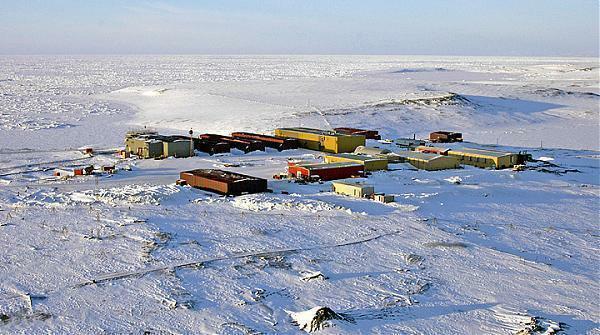 Alert is the northernmost permanently-inhabited location on Earth. It is just 800km (500 miles) from the North Pole. It is so far North that temperatures only increase above freezing for two months out of the year (and not by much - average August high is just 3 degrees Celsius or 39 degrees Fahrenheit). Why do people live and work next door to Santa Claus? For both scientific and sovereignty reasons. Alert is a research station and military outpost, maintained and operated year-round by the Canadian government. 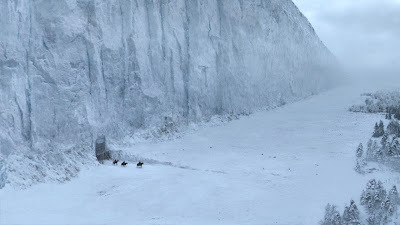 There's lots of scientific information to be gleaned by poking at frozen oceans, and we constantly have to be watching for those pesky Russians to be sneaking into our hemisphere across the North Pole. This is actually a legitimate concern: the waters of the Arctic are contested by Canada, Russia, Norway, Denmark and the US - or more importantly, the natural resources that potentially lie beneath the seabed under the waters are contested. Yes, we are so close to scouring our planet clean of gas and oil that we're looking to start drilling in Rudolph the Red-Nosed Reindeer's back yard. Environment Canada air chemistry observatory. 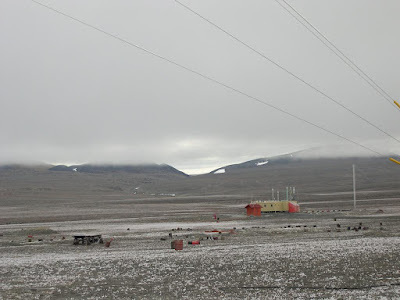 Yup, scientists sit around in the arctic in the dark for months at a time observing the air. How far north is Alert, exactly? I have an anecdote to illustrate. I work for a department that provides satellite communications services to the Canadian Government. Due to the vast size of the country, with communities located in very remote locations where no other form of communication is available, our satellite phones and modems are used regularly by police services, park rangers, medical personnel, search & rescue operations and the military. Recently we had a meeting with a new satellite provider based out of the United States who was trying to sell us on their new devices and equipment. His products were interesting and he had a great sales pitch, but inevitably it came down to one question: "How far north does your satellite network reach?" "Oh, it goes really far," he assured us. "You shouldn't have a problem," he said. We pointed out that we have a number of communities and organizations well above the 60th parallel. His confidence wavered a little there, but he still insisted that it should work "most of the time." Then we showed him a map of the Northwest Territories and Nunvat, and pointed out communities such as Iqaluit and Resolute, and research stations such as Eureka and Alert. He was gobsmacked. "You go that far north? Nothing goes that far north." You know nothing, American satellite provider. Canada is vast, far larger than most people realize, especially along the North/South axis. Alert is basically the farthest point North, and is 4,358km (over 2,700 miles) from Toronto. That's about twice the distance from Toronto to Austin, Texas, which itself is no small trip. Hell, the distance from Alert to Toronto is only slightly less than the distance from New York City to London, England. That's big, and that's really, really far North. We had to invent a new unit of measurement called "really stupid far." The station is named after the HMS Alert, a British/Canadian exploration sloop that wintered in the area in 1875-76. Yes, that kind of sloop. 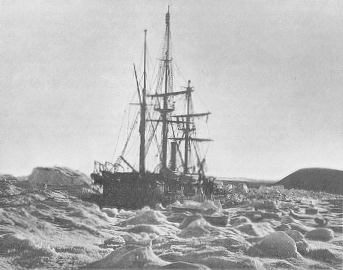 A wooden sailing ship, stuck in the ice in -50 below weather. For months. Between this and the Cremation of Sam McGee, it really seems like folks loved to die in the Arctic back in the 1800s. Oh well, I guess they didn't have Twitter. Seriously, who do you have to piss off to get assigned to this job? Not surprisingly, there have been a few tragedies around the station since it was established in 1950. The most famous of which was the crash of a Lockheed C-130 Hercules (a heavy duty military transport plane) in 1991 that killed 5 people and left the survivors stranded for 32 hours while search and rescue teams fought blizzard conditions to reach them. If that sounds like a movie it's because it is - it was dramatized in the made-for-TV-film "Ordeal in the Arctic" in 1993, starring Richard Chamberlain. Reviews were chilly.